The “Blog” of “Unnecessary” Quotation Marks: So, like, Jouissance? That's right, I know enough Lacan to make a joke about hot beverages and pleasure/pain. And this is it. Thanks, Steven. As if the hot water sign wasn't clear about the temperature. 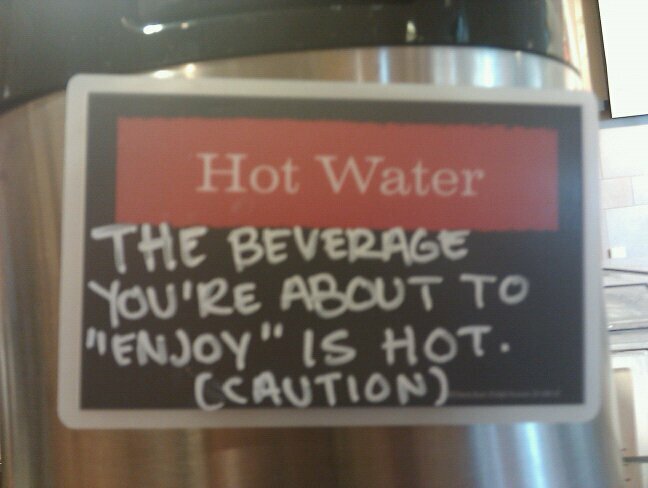 With all the funny signs and labels that have arisen following lawsuits, I suppose "enjoy" might be true after all.